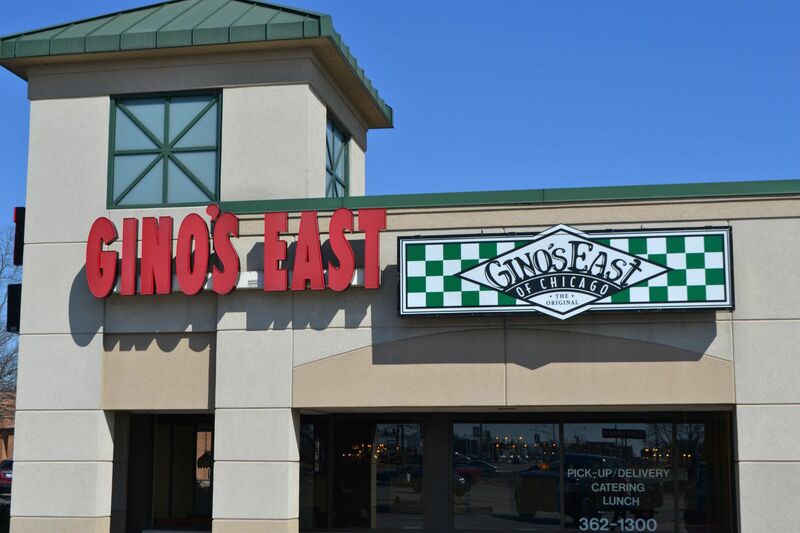 The Gino's East Libertyville location is located at 820 S Milwaukee Ave, in between Condell and Valley Park Dr. Like all Gino's East locations, Gino's East Libertyville serves pizza in the finest Chicago tradition, both the iconic deep dish and the perennial favorite, thin crust. In addition to our signature pizza, we also serve a wide variety of comfort food including Polish Sausage, Italian Beef, pastas, homemade soup, and handcrafted salads. Desserts include traditional Italian canolis, and even Navy Cakes from Libertyville's own Lovin' Oven Cakery. Entree options include: Mini Deep Dish or Thin Crust Pizza, Sandwiches, Wraps, Pastas and Salads. Libertyville Gino's East is part of your community. We have experience in hosting fundraisers for schools and sports teams. Please reach out to a manager today to get more information. Gino's East Libertyville has lunch specials and delivers to homes and offices around the area. If you'd rather dine in, you can just drop by or call ahead and we'll have your food ready and waiting for you. Groups and parties can be seated in a private dining area. If you'd rather have your party at home, Gino's East Libertyville will cater for you! We can do everything from simply delivering the food to providing plates, napkins, and even servers for your event.